I’m the creator of Power 20, and here I document my transition from a mostly vegetarian Paleo diet to 100% Vegan diet. I made the switch in 2015 and today, 2.5 years later, I’m still vegan and feeling great. I felt fine on a Paleo diet. This time last year I was following a strict paleo diet. I was convinced by books like How We Get Fat, Wheat Belly, and Grain Brain that sugar in most forms should be avoided, lest we want diabetes and obesity. Those books, insights from doctors, and my own results on paleo turned me into a zealous advocate of a low sugar, high fat diet. I was eating 3 eggs every morning and fish almost every day. I avoided flour, rice, potatoes, and sugary foods, all to great effect: I achieved paleo nirvana, also known as ketosis. That’s when the body runs on energy stored in fat (triglycerides) instead of energy from the sugar we eat, leading to fast weight loss. Once I got past the powerful sugar cravings, I looked and felt pretty good. I documented my first month’s transition here. And then, overnight, I went vegan. While meditating in January I was hit with a sudden, powerful feeling that I shouldn’t be eating any meat at all. I didn’t like the meat industry. I didn’t want to be part of the overfishing problem. I didn’t want to eat dead animals every meal. And I didn’t want to get sick like almost all my meat-loving relatives. So at my next meal I ate just plants, and have kept it up ever since then, taking it one meal at a time. I lost weight. I’m a tiny person to begin with, so losing weight is actually traumatic. But there I was, back to my freshman year college weight. I’m not going to write how little that is. I got into arguments. My parents thought I was being extreme. My wife, a foodie who loves lamb, really didn’t like this new turn. I caused confusion. 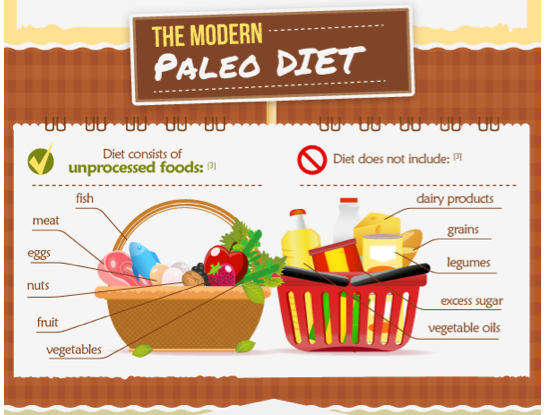 I had advocated a paleo diet for weight loss at my company, Power 20, and now I was changing it. People who lost weight successfully were confused and some were mad. Some good things happened too. My allergies disappeared. I usually have to take Claritin and can’t wear contact lenses during spring. This was the first year I can remember when had no allergies. Dairy causes an auto-immune response, so it’s a driver for many allergies. Not surprising, after seeing the video below. Despite losing some weight, I haven’t lost any strength or energy. 3 months after going vegan, I tested my strength and did 35 consecutive pull ups without practice. One of the strongest men in the world is vegan. My dandruff disappeared. Meat eaters have more oily skin, which ironically leads to bigger flakes in the scalp that cause dandruff (more on this here). I stopped doing cardio. Vegans eating whole food have lower cardiometabolic risk factors than marathoners who run over 40 miles a week. It’s easier to just eat plants. My bursitis disappeared. I’ve had a visible, painful inflammation on a finger joint for 3 years. It disappeared after one month of eating just plants. Bursitis and rheumatoid arthritis are thought to improve on a whole-food, plant based diet. All my dishes are easier to clean. Since I’m eating whole, plant-based food, I’m basically washing, cutting, steaming and seasoning food. Dish cleaning is simple.There’s no grease, blood, guts, or nasty bacteria to worry about. I look and feel the same, except I no longer feel the ethical queasiness that comes from eating meat. Why go back? To go vegan one must be psychologically ready, socially supported, and practically prepared. I’ve been psychologically ready for a long time. I suspect most people are: no one really loves the meat industry. No one wants to accelerate the depletion of the world’s fish stock. And since I had gone 14 years as a pescetarian, I shed my meat addiction long ago. My wife and extended family may not love my decision, but they don’t actively undermine it either. That’s all the social support I need. Since I went this route, some family members have reduced their meat consumption. The last step (and biggest hurdle) was practical. I had to learn how to eat healthy and rely on no one else, including restaurants, for my meals. I learned about eating healthy from nutritionfacts.org, forksoverknives.com, and a variety of food blogs. I stocked up on vitamin B-12 and flaxseed, and got familiar with steaming veggies. Once I had the right setup, the rest was easy. But Paleo is sustainable, right? True paleo eating involves eating very little meat and limiting that meat to sustainable, grass-fed organic sources. Fine, but only 3% of all the beef in America is grass fed. Less than 1% of chicken is free range. Good meat is hard to find, so people who want to eat sustainably are too often forced to compromise, and end up eating meat from unknown sources. They compromise at peoples’ houses, while traveling, at restaurants, and for convenience. Even the most careful eater will have trouble knowing the source of their fish. The fishing industry is notoriously opaque about the true source of fish and methods of capture. They often even lie about the kind of fish being served. 59% of the tuna Americans eat is not even tuna. Meanwhile very few vegans ever compromise by eating meat. It’s just easier to tell people you’re vegetarian than it is to turn down a meal on the grounds that it’s from a questionable source. I found this handy infographic here that answers many diet questions at once.